Have you been looking for the Best Lens for your Canon 7D Mark II? Even though you have found the right camera, choosing the best lens can be a challenge. Additionally, with so many options it may leave you more confused than ever! Fortunately, we have found you the best lens choices – to meet every photographer’s needs! 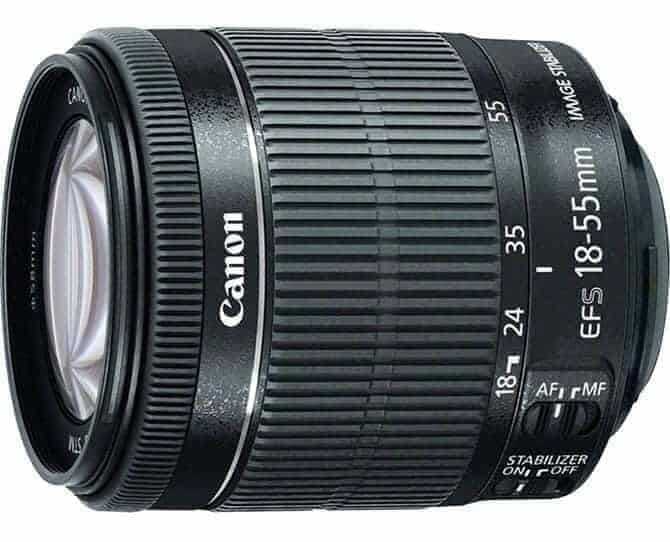 If you have a Canon crop camera, chances are that you may own an 18-55mm kit lens. As a matter of fact, I have seen far too many photographers discounting this extremely versatile lens. There is literally a lot that you can do with this lens. That is of course if you know what you are doing. Additionally, this lens is optimized for the smaller image circle of APS-C Canon cameras. It gives a 35mm equivalent focal length of 29 – 88mm. A great walk around lens. The new STM technology makes this choice a personal favorite! This technology gels well with the dual pixel CMOS auto-focusing powered continuous AF mode. STM lenses are powered by a newly designed auto-focusing motor known as Stepping Motor. This motor produces a much smoother AF performance when compared to traditional USM motors that have a jerky focusing adjustment. These lenses are perfect for the purpose of shooing videos. The lens has a full-time manual focusing override ring. You can grab the focusing ring and adjust it. even when the AF is engaged. Internal focusing ensures that the barre length of the lens remains the same across its focusing range. Equally important is the fact that the front element of the lens won’t rotate when focusing. This is perfect when dialing in a precise degree of the circular polarizer. Fortunately, Image stabilization is another area where this lens excels. The lens comes with four stops of shake correction. You can choose to shoot with a shutter speed up to four stops slower, and it allows you to produce sharper results without a tripod and or raising the ISO. Internal construction of the lens consists of 1 aspherical element that takes care of chromatic aberrations. A nine 7 blade circular aperture diaphragm produces beautiful bokeh, making it perfect for subject separation from the background. What’s better than the Canon EF s 18-55mm f/3.5 – 5.6 IS STM? Ultimately, it has to be the Sigma 18-35m f/1.8 DC HSM Art. This lens is a part of Sigma’s famed Art series lenses. It comes with that extra couple of stops of faster aperture that you missed on the Canon 18-55mm. Why would you want to have this lens? Because it is super sharp across the focal length and even when shot wide open. Additionally, designed for Canon’s APS-C system cameras, the maximum aperture of the lens is f/1.8 across the focal length, allowing you to shoot with the same perspective across the whole focal length range. Amazingly, the large aperture ensures that you can shoot with a reasonably fast shutter speed even in low light without having to worry about image blur. This is a fantastic lens for general purpose shooting, and an easy addition to our best lens list! Auto-focusing is powered by Sigma’s Hyper Sonic AF motor. This is a fast and accurate AF motor and yields great results every time you fire the shutter release. Equally important, the internal focusing elements ensure that the lens barrel length remains the same throughout the focal length range. Internal construction of the lens includes 4 aspherical elements and 5 SLD glass elements. Super Multi-Layer coating has also been provided. The elements suppress chromatic and other aberrations. The layer coating suppresses flares and ghosting. Externally, the lens is constructed out of Thermally Stable Composites. This is a heat stable component that ensures that the lens does not extend even when you are shooting under a hot summer sun or a cold subzero temperature. In addition, the lens has the typical Sigma USB dock. This is useful for updating the firmware and for changing parameters. Related Post: DSLR Lenses 35mm vs 50mm? What is better? The Canon EF-S 24mm is a pancake lens designed for the Canon EF-S mount APS-C camera. At just 0.90″ in thickness the lens is one of the slimmest DSLR lens that you can get your hands on, and weighs only 125 grams. In addition, with the 35mm format equivalent focal length of 38mm, this is the best lens when wanting to having a 35mm lens on your 7D Mark II. Despite the fact that this is a small lens, it comes with one aspherical element as well as an optimized lens coatings. The aspherical element takes care of aberrations and the optimized lens coating ensures that the lens remains largely unaffected by flare and ghosting. This is ideal, especially, when shooting in broad daylight. The STM auto-focusing motor is an additional advantage of this lens. I have detailed the fantastic stepping motor technology above. As a matter of fact, a great example of this is that the motor produces a smooth auto-focusing performance which is ideally what you want for video shooting purposes. Ultimately, the lens technology is compatible with Canon’s movie servo auto-focus. The STM lens may appear to be annoyingly slow at times. You just have to get used to it, or get yourself one of the USM lenses for still shooting. In addition, the pancake lens comes with full-time manual focusing over-rise. This again, comes in handy when shooting both still and video shooting. Full-time manual focusing override allows you to grab the focusing ring and adjust focusing even when the auto-focusing motor is engaged. Finally, the lens also comes with a nice 7 rounded blade aperture diaphragm. This mean you can likely get a nice bokeh when shooting at a wide open aperture. Not to be overlooked, macro photography is a specialized subject and one that requires careful planning and preparations. There are many alternatives to using a dedicated macro lens, but having one takes care of 50% of the workload and increased the chances of getting better quality images. The EF-S 60mm f/2.8 is designed exclusively for the smaller APS-C sensor powered Canon cameras. The beauty of this lens is that it gives a life-sized (1:1) reproduction of your subject on to the image sensor. Moreover, this feature made it an easy choice for our best lens choices! The internal construction of the lens features floating elements which move independent of each other allowing very close focusing. In addition, it also has what is known as flat-field focusing w/circular aperture that suppresses distortions. Auto-focusing is powered by an ultrasonic auto-focus motor (USM). These as motors that are snappy and lock in very quick focus. Full-time manual focusing override is also provided which ensures that you can grab the focusing ring in order to adjust focus anytime. More importantly, for a macro lens, you need to precisely put your focus where you need it to be. In these situations auto-focusing sometimes lacks the precision and intuitiveness that is necessary. It becomes necessary that you switch to manual focusing and accurately lock focus. Moreover, the lens also has super spectra coating. This coating takes care of lens flares and glares which can be a problem at times especially when shooting straight at the sun. Designed for the full-frame Canon 35mm camera, the EF 70 – 200mm is a great lens with a maximum aperture of f/2.8 and comes with twin image stabilization modes. 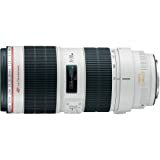 Being a lens designed for the 35mm system, the focal length extends to 112 – 320mm, making this a telephoto lens. With your 7D Mark II you can shoot excellent birding and wildlife photography with this lens. The maximum aperture on this lens is f/2.8 across the zoom range. 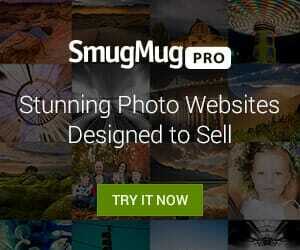 This means you can shoot some excellent images even in low light. Additionally, the internal construction of the lens includes 23 elements arranged in 19 groups that includes fluorite and ultra-low dispersion elements. Equally important, this lens also has Super Spectra coating. This coating works to ensure that the lens is not affected by the internal reflections. Built-in image stabilization gives up to 4 stops of shake correction, making it our best lens choice for full frame. Auto-focusing on the lens is powered by a USM (Ultrasonic motor). Luckily, these AF motors have a fast and accurate focus lock. There is a manual focusing override on the lens as well. Just in case you need to grab the focusing wheel and make a precise adjustment of focusing. The aperture diaphragm of the lens is constituted by 8 blades to form a near perfect circle. This produces very nice bokeh. Finally, to top it off, the lens comes with dust and moisture resistance which allows you use it even poor weather conditions. 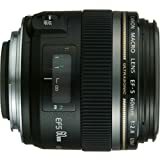 The EF 24-70mm f/2.8 L II USM is a complimentary lens to the 70-200mm f/2.L IS II USM les we just read about. The 24 – 70mm covers a standard focal length range. But this lens is designed for the larger image circle of full-frame cameras. When you mount this lens on your 7D Mark II, the effective focal length becomes the equivalent of a 112 – 320mm lens. The lens has a reasonably fast constant aperture of f/2.8 across the zoom range. Ultimately, this means you would have the same perspective whether you are shooting at wide angle or in telephoto range. The EF mount lens works on APS-C 1.5x crop cameras as well giving a 35mm equivalent focal length of 36 – 105mm. This is the best lens in the walk around choice for the crop camera system. In addition, the 9-blade circular aperture works well for subject separation, shooting portraits and for other subjects. The internal construction of the lens constituted by a total of 18 elements arranged in 13 groups. On top of that, the lens comes with optimized lens coatings that would ensure exceptional color balance and suppress ghosting and flares that happen frequently when shooting wide open. Additionally, auto-focusing on the lens is powered by a ring-type ultra-sonic auto-focusing motor that ensures that the lens locks focus very quickly and precisely. Still on the subject of focusing, the lens has great manual focusing override. This makes sure that you can grab hold of the focusing ring and lock focus in those rare situations where the lens fails. The exterior build quality of the lens is excellent. In addition, it has great weather sealing. It can be easily used in inclement weather without issues. Fluorine coating on the lens ensures that the lens is not effected by fingerprints or smudges. 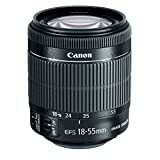 The Canon EF 16-35mm is a great walk-around lens. The lens has an f/4 constant aperture across the focal length which is great for maintaining a steady perspective especially when shooting videos. The lens comes with optical image stabilizer which comes with up to four stops of shake correction. Furthermore, it is the best lens when shooting in low light and when hand holding the lens. The lens’ internal construction includes a total of 16 elements arranged in 12 groups. Equally important, the lens has fluorine coating. Fluorine coating ensures that the lens is not affected by smudges, and smears and dirt. As a matter of fact, this coating repels most of this. A nine blade aperture diaphragm ensures that the lens produces beautiful background blur – bokeh as we known it. Not surprisingly, the lens has excellent build quality. Equally important, it is resistant to inclement weather and thus extends your shooting prowess to beyond just good weather. A ring type auto-focusing motor powers the auto-focusing performance of the lens. Full-time manual focusing override is also provided. Again, this technology was explained previously. Unfortunatley, ring type USM auto focusing is not the best when it comes to video shooting. Focus lock is abrupt and that means there would be some amount of visual jerk, unless you use the manual focusing option. Luckily, there is a full-time manual focusing override just for that. Additionally, for focusing with stills this is an excellent lens. Previous articleWhat Makes Photography Backdrops Great?